Copper Cabin Kennel provides daycare services for all size dogs in Gettysburg, PA and surrounding areas. 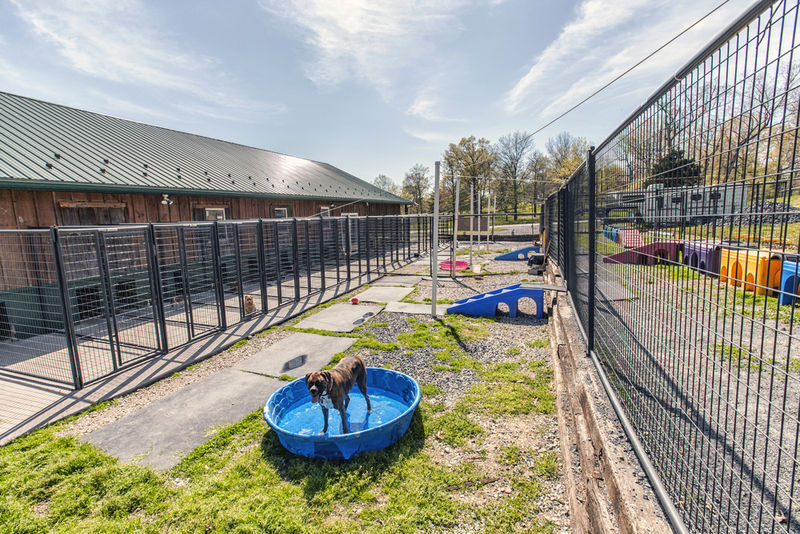 We offer a large area for dogs to run and play in a clean, sanitary environment. We feel that your dogs should be able to socialize and exercise in a stress-free environment. Let your four-legged friend enjoy our pools and play areas while you are at work. We offer activities to suit your dog's temperament -- come stay and play all day! We are on a set schedule and open at certain times during the day. Please feel free to visit us during the hours listed HERE. All animals must be up-to-date on their vaccinations and we recommend that they are current with their dog licenses.